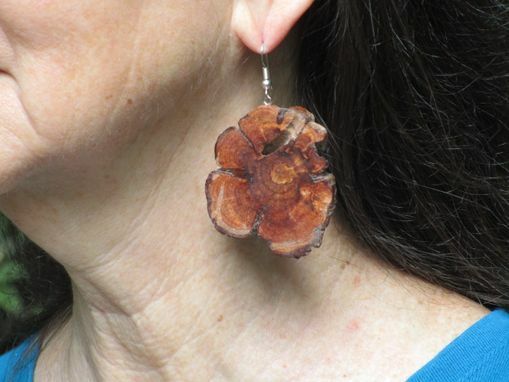 These earrings are made from Pine Burl. Pine Burl is an abnormal growth that pines will occasionally have. It just erupts from the tree and either grows on one side of the branch or all the way around it. It is a layered burl, like an onion, succeeding layers grow on top of previous layers. 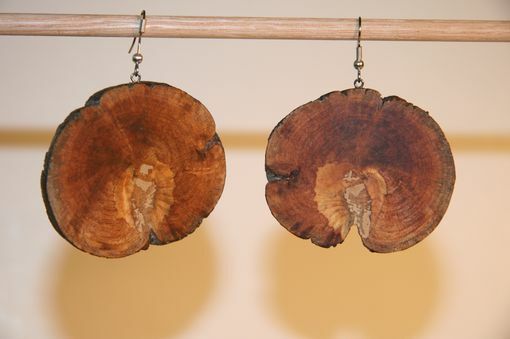 It takes 24 steps to get the disc from burl, to being usable for jewelry.. 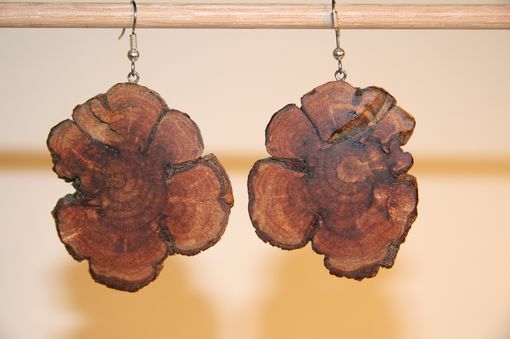 Even though these earrings can be large, they are very light. 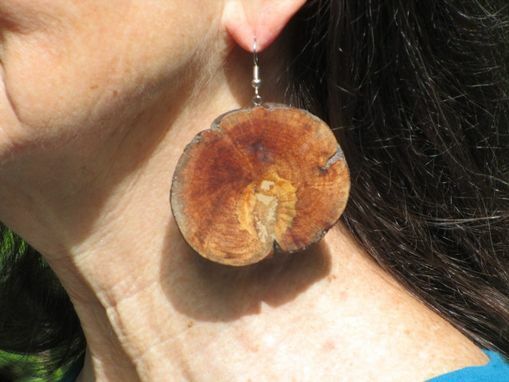 2 inch diameter earrings weigh about 4 tenths of an ounce each. 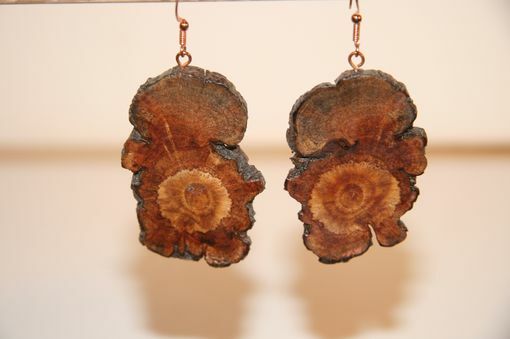 The sizes of the burls available are from about 1 inch and up. 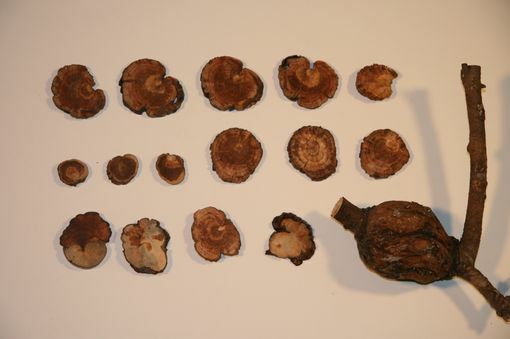 The pictures show some of the various sizes and colorings of pine burls and an example of a whole burl. 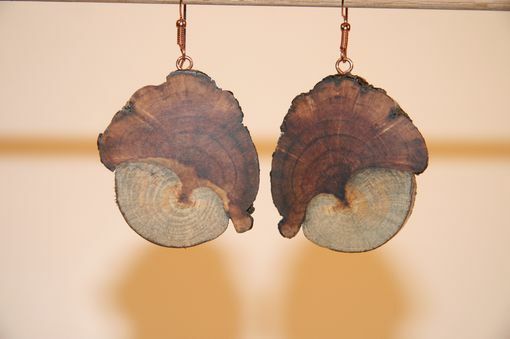 If you are interested I can email you pictures of various burls about the size you are interested in. Right now I have the option of stainless steel or copper findings.